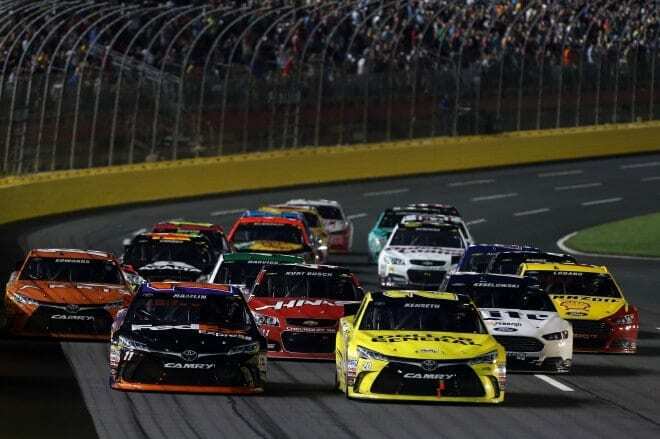 Cup: All-Star Snoozer – While the question of whether or not the All-Star race has outlived its usefulness is a valid one, the bigger question resides with how it should remain should it continue. 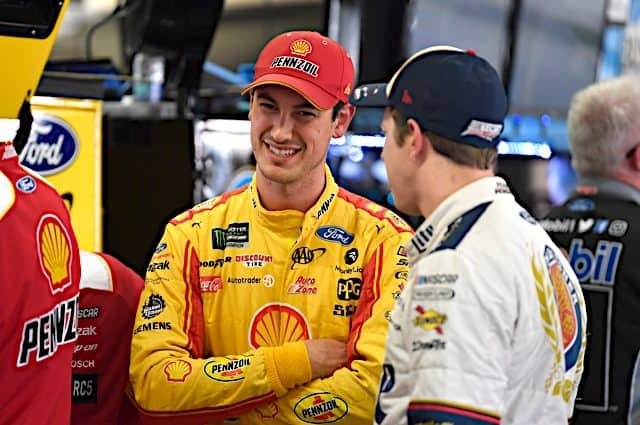 One comment that seemed appropriate regarding the race is that, to truly be an All-Star race, drivers from all levels of NASCAR should be included. Fair enough, but the biggest issue at this point seems to be the track. While the entities presenting the race made it seem like was drama to be seen, that was all hyperbole. 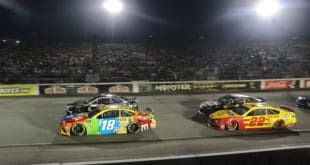 Aside the pitstops, which determined how drivers would line up, and the ensuing restarts, there was little to be made of the All-Star race, as passing was left to a minimum and just a few drivers, namely Kurt Busch, Kevin Harvick, and sometimes Kasey Kahne, could move through the field. If Jimmie Johnson, who has seemingly rule Lowe’s, er Charlotte Motor Speedway, for the past decade can’t seem to do anything, then there’s definitely something awry. IndyCar: Honda Loses Amid Chevrolet Controversy – Changes made as a result of Chevrolet’s aero kit issues may have put the manufacturer in position to sip some milk. Interesting to see what potential changes are coming for qualifying…all I know is @HondaRacing_HPD shouldn’t have to change a thing! As a part of the changes, made following Ed Carpenter’s terrifying crash in a morning practice session, all teams -both Chevrolet and Honda- were forced to qualify with their race setups. Boosters were removed from the engines, and teams were given only one four-lap session to qualify for Indianapolis Motor Speedway’s biggest race. The new qualifying format left team’s scrambling, with many scratching their heads at a lack of speed. However, few of these confused teams were in Chevrolets. The manufacturer took 11 of the top 15 starting positions for the Indy 500, including the pole with veteran Scott Dixon. Honda, on the other hand, was left looking for answers. 13 of the final 18 positions went to Honda teams. Takuma Sato, who nearly won the race in the past, struggled in a 27th-place run. Even Andretti Autosport, who typically excels at the famed ‘Brickyard’, largely struggled. 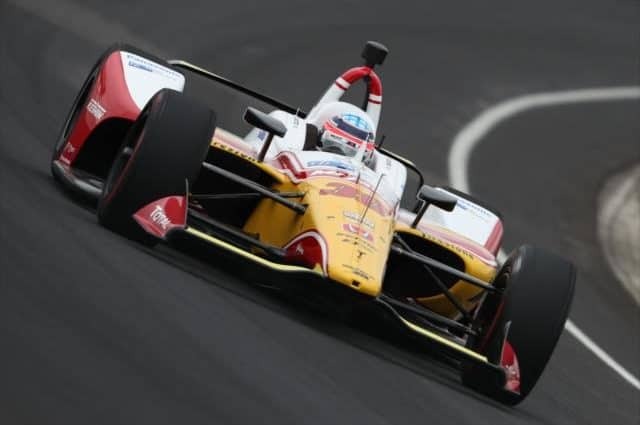 Andretti put together the top three qualifiers for Honda with Justin Wilson (sixth), Marco Andretti (eighth) and Carlos Muñoz (11th), but also saw 2014 champion Ryan Hunter-Reay struggle with an unknown lack of speed to qualify 16th. XFINITY: Stand-Alone at Last – Chris Buescher capitalized on a late-race opportunity to grab his first oval win in the NASCAR XFINITY Series. After reigning champion Chase Elliott was back to his dominant ways, Buescher took the lead after Elliott didn’t pit prior to a green-white-checkered finish. 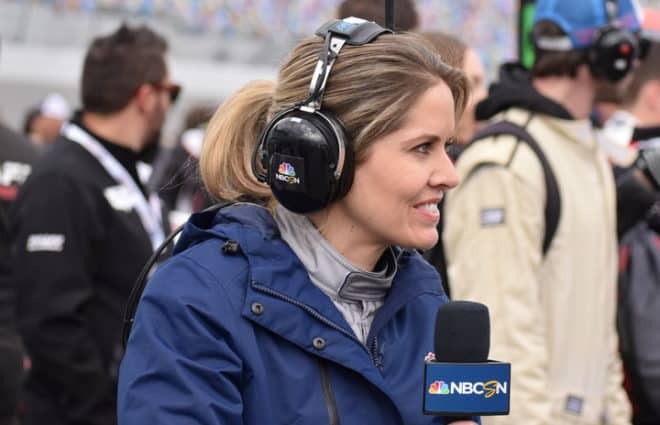 The advantage of having fresh tires was enough to bring Roush Fenway Racing into Victory Lane for the 135th time, and left the JR Motorsports driver extremely disappointed. 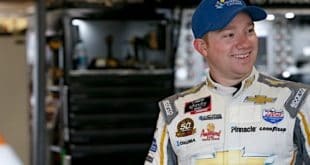 Following a flat tire by Ty Dillon late in the going, Buescher now holds an eight-point advantage in the championship standings. 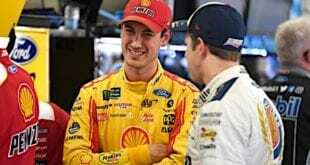 Richard Childress Racing’s lack of consistency has hurt the team in the past, but Dillon has been everything except inconsistent. 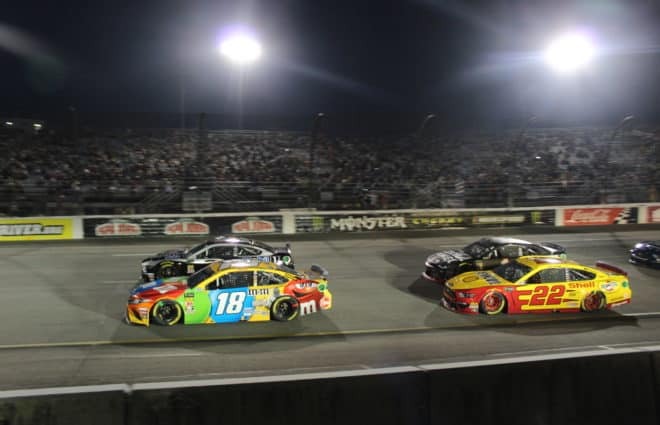 The two have emerged as the favorites for the title, and if all continues at this rate, the XFINITY Series could have a three-four car battle for the championship. NHRA: Different Faces on the Winner’s Stage in Atlanta – Funny Car driver Tim Wilkerson hadn’t hoisted a Wally since 2011. Pro Stock Motorcyle rider Hector Arana, Sr. hadn’t had the privelege since 2009, but both drivers found themselves with the trophy at the conclusion of the Summit Racing Equipment Southern Nationals at Atlanta Dragway this weekend. Wilkerson faced off against Ron Capps in the finals and got it done with a pass of 4.318 seconds, 260.31 mph to Capps’ tire smoking 5.781 seconds, 125.90 mph. Wilkerson seemed to draw all the heavy hitters and had his work cut out for him as he also defeated Del Worsham, Jack Beckman, and John Force en route to the finals, an impressive performance for a single-car team taking on representatives from the biggest multi-car operations in the category. Arana also faced his share of heavy-hitters, taking out defending Pro Stock Motorcycle champion Andrew Hines in round one, No. 2 qualifier on the weekend Jim Underdahl in round two, and son and current national speed record holder Hector Arana, Jr. in round three before finally taking on three time champion Eddie Krawiec in the finals. Antron Brown scored the win in Top Fuel, beating Leah Pritchett, who was making her first appearance in the finals, with a pass of 3.887 seconds at 310.48 mph to Pritchett’s 4.202 seconds, 260.41 mph. Brown also beat Shawn Langdon, Doug Kalitta, and Terry McMillan to make the finals. Short Tracks: First Time Winners – This particular weekend was all about first-time winners in various series. In the bi-annual match-up at Iowa Speedway between NASCAR K&N Pro Series teams from the east and west, Brandon McReynolds outran numerous regulars from the eastern part of the country in western-based Bill McAnally Racing equipment for his first career victory. He passed William Byron, the K&N East top finisher, for the top spot with less than 10 laps remaining. 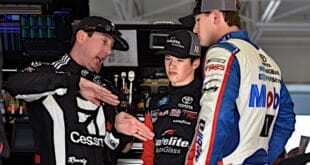 In the ARCA Racing Series, Todd Gilliland set the mark as the youngest winner in series history two days after turning 15 and becoming eligible to compete. The third-generation racer and son of NASCAR Sprint Cup Series competitor David Gilliland made a late race pass by veteran Tom Hessert up front and went on to win in his debut at Toledo Speedway (OH) driving for the Venturini Motorsports team. Two other regional series opened up their 2015 campaigns on Saturday and had similar results. The ARCA Truck Series was the precursor to the main ARCA show at Toledo Speedway. With past champions Danny Jackson and Levi Mansfield absent, the field was wide open and it was the previous year’s rookie of the year Jeff Myers Jr. beating Cody Quarrick for the win. Sports Cars: Bentley to TUSC? – With next year’s move to full GT3-spec in the GT-Daytona class starting in 2016, perhaps the headline above would not be all that surprising. Bentley already has the Continental GT3, which already competes here in the United States with Dyson Racing in Pirelli World Challenge. A move to GTD would make sense. However, that might not be all. Last weekend, Sportscar365 reported that Bentley is planning on getting involved in TUSC’s Prototype class, perhaps as soon as 2017. The key is whether or not the Daytona Prototypes will continue in TUSC beyond next season. Originally, that was considered to be highly unlikely. Now, not so much. Bentley CEO Wolfgang Durheimer believes that the DP’s will live on beyond next season. Bentley was represented at a key meeting held in Daytona Beach earlier this year in regards to the 2017 LMP2 regulations. It is unclear what those rules will ultimately look like at this point. However, spec chassis and engines have been proposed for the category. If that were to come to pass, the Daytona Prototype formula would actually look more appealing to.a manufacturer since it would be seen as less restrictive.